What To Know Painting, Repainting Old Cedar Shingles - Eco Paint, Inc.
Having several requests per year painting Cedar shingles, I feel an important need to clarify some misnomers regarding this subject. Cedar shingles, whether being shake or regular thickness, new or old, same painting recommendations fits all types, across the board. First off, Cedar is not cheap, shingles or dimensional lumber. Reason why Cedar prices have a higher price tag is Cedar is in limited supply. Cedar is grown in the upper North West, where Cedar trees flourish with exact weather conditions from the Pacific Coast. Growing in a climate of higher moisture content, Cedar trees make the perfect wood once milled, repelling the water it received, growing it's entire life. How Cedar repels weather elements so well after it's cut and milled, is by sloughing off older wood, allowing newer wood underneath to keep repelling. Perfect example of this you may not know, but quite certain you've seen this in the past, is old, darken, grayed, blacken Cedar wood. 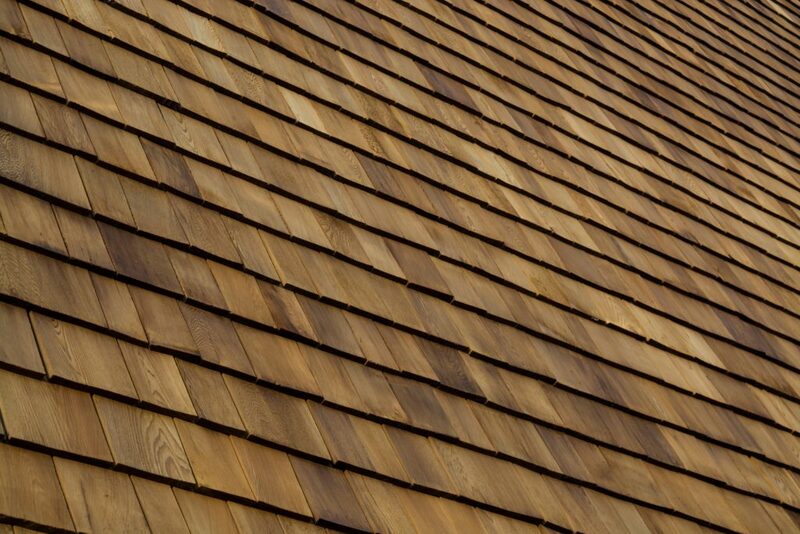 As Cedar wood, including shingles is exposed to the elements outside, it starts the aging process. A part of aging process, similar to a person's hair, is turning gray. Ouch, at least I still have hair on my head, better gray than none at all. After Cedar shingles have grayed out, depending on moisture conditions, and direction of Sun, it blackens out. This is when Cedar in general is assailable to mold, mildew and fungus, continuing to break down. Although in arid climates one does not have to worry about this, having much more to think about, as we will get into later. The term ''Paint'' is loosely used, more specifically the term ''Stain'' is best for Cedar shingles, and not 100% acrylic latex or oil paint. Ouch, you were not ready to read that I'm sure, but hear me out. Will lay my findings out, letting you make the final decision if you want to paint Cedar shingles or stain them. Having painted 1000's of homes across the Denver Front Range over the years, knowing exactly how paint is applied, how it dries, cures, and protects over it's duration and life of paint. 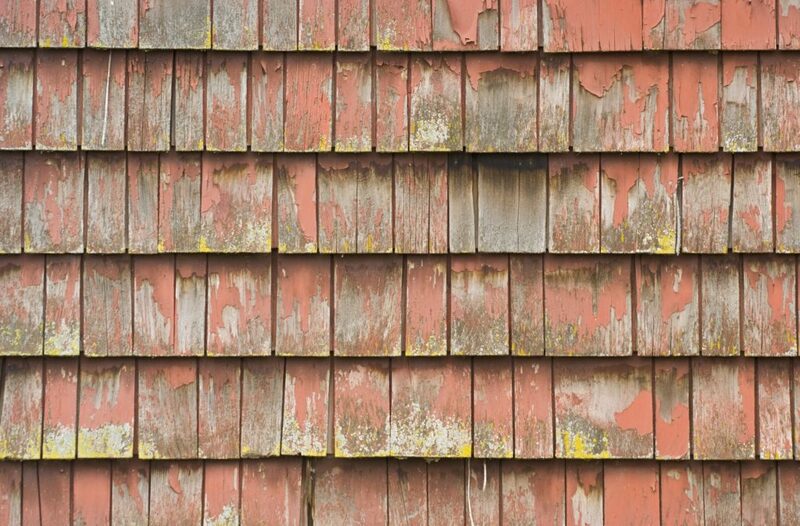 The quickest paint failure would be painting Cedar shingles with either Acrylic Latex, or solid Alkyd Oil paints. Reasons why solid paints are not recommended to seal and protect Cedar shingles are multiple faceted, to a fine science. First, understanding how Cedar shingles are cut on a wedge, exposing grain at it's highest, having a rough sewn cross grained texture is standard. Knowing Cedar shingles, how they are meant to slough off older wood, allowing newer wood with this wedged, cross grained thick to thin surface. 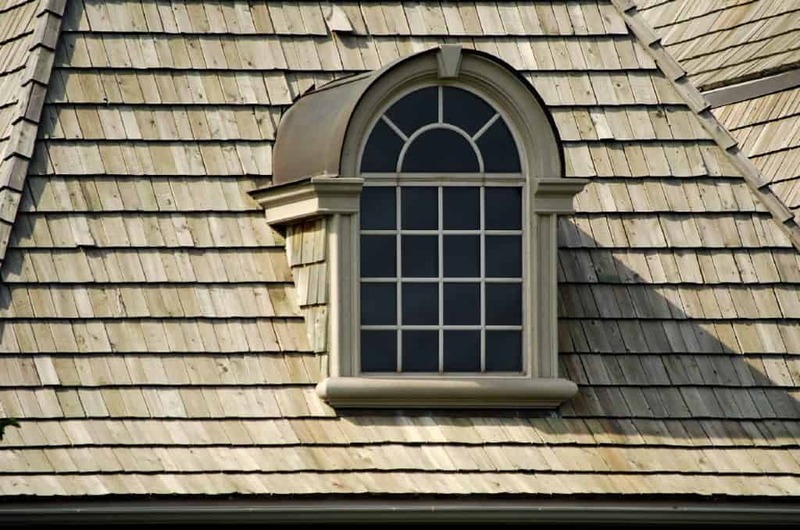 How shingles are laid out, having approximately 1/4" spacing, allowing water to fall on second shingle underneath, it is almost impossible to properly coat all exposed surfaces. 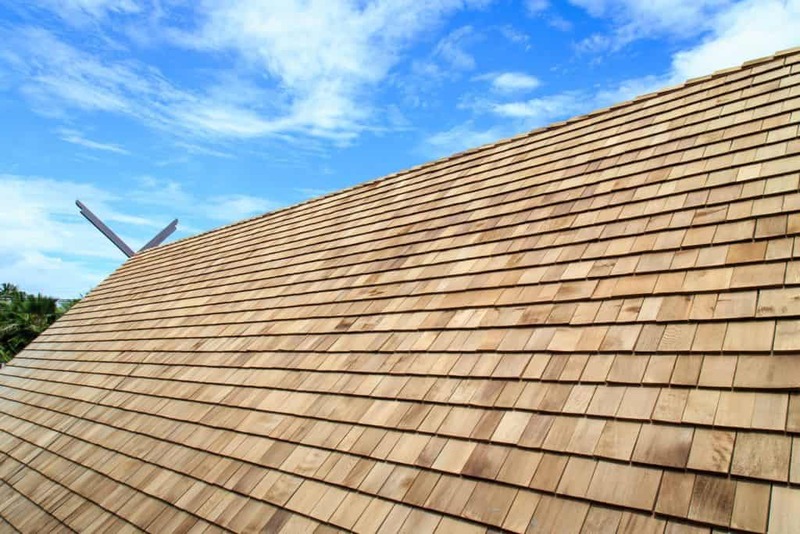 The reason to properly coat all surfaces, especially Cedar shingles, is once water seeps into the wood, this will lift paint coatings up, causing blistering, bubbling, & peeling. Now if that's not enough, consider where the Cedar shingles are placed. The roof, you've got it! When was the last time you were up on your shingled roof? Hopefully during a moderately warm dry day. If so, that moderately warm ambient temperature day might feel like walking across the Sahara Desert, barefooted, not even wanting to touch a solitary shingle. I know, I know, when I was growing up, I had to walk to school, three feet of snow, in a pair of shorts, both ways. But this does not even come close to the other extreme of heat, upon your roof. Painting shingles is like you're lab testing paint for failure, and doing so, you will succeed, knowing first hand. Even if you power wash old painted shingles first, allowing shingles to dry back out over several days to a week, the problem is not being able removing it all, having some amounts of paint left. Good luck trying to sand this, even with an orbital sander, palm sander, or sanding blocks. Depending on the square footage, also the pitch of roof, you're in for one labor instance process. You'll thank me 1000 times, while considering just replacing these darn things, never choosing to ever paint them in the first place! Much less having to remove old paint later on. Power washing also allows moisture to soak into the wood, never getting completely dry, thereby lifting paint up on an ongoing basis. Oh yes, they can appear dry from a surface standpoint, but believe you me, there's moisture under those hot shingle surfaces. Similar to when shingles are in bundles, before unstrapping. They all have much more moisture inside a few shingles, feeling damp. Shingles upon the roof is no different, except you can't lay each one out to re-dry properly, so good luck with that too! As you have been reading, I'm here to change the common general consensus if you should paint Cedar shingles or not. Everything out there on the web says you can, but I'm hear to tell you without a shadow of a doubt, your setting everything up for failure. However, there is Great News, and Light at the end of the tunnel, regarding this subject. Keep reading. Ok, you may say, "I'm power washing first, then priming visible Cedar shingle surfaces." There are several reasons not to do this, most importantly the danger. If you're roof is say a 5/12 pitch or greater, walking around wet Cedar shingles is asking for trouble, being so slick. So, still planning on washing, you'd better have a safety plan in place beforehand. Notify a neighbor, or family member what you are doing. Maybe they'd like watching, seeing how crazy you look up there power washing you're wood shingles. I don't know, but what ever you decide, Be Careful, cause it'll be slicker than snot up there. Maybe another idea is wearing your golf shoes, I don't know. Tie off, but if it's that hard, you can be assured this is not best practices. So yes, I have a real problem power washing Cedar shingles on the roof, and so should you. No matter if you power washed, then primed with an extreme latex or oil bond primer, either one having proper binders, this does not matter. Yes, priming with higher bonding binders will extend the life, giving exterior paints something to grab on too, but destined for failure. Not being nearly as long term as product labels, each product warranties provide. Seeing an old mountain cabin in paradise is a perfect example, Cedar shingles will last a life-time with a correct paint coating. However going back to reasons listed above, not able to prime every nook and cranny, might as well as coat shingles with bed liner paint. That's an idea! Giving more traction, water resistant, just not sure about the temp. Also not sure if this would hold up for other reasons mentioned above, specifically moisture getting underneath, thereby lifting it up. Another important reason not to prime shingles is, once you prime and paint new or older shingles, you can kiss it goodbye ever wanting to put a semi transparent stain on it from that point on. Time for a new Cedar shingle roof? Paint it, or Repaint it, cause this is what you'll be doing until that new Cedar roof is installed, constantly trying to paint over old flaking, blistering, bubbling paint. This is sounding like a quagmire, an awkward, complex, or hazardous situation to say the least. This way, shingles are protected from weather, repelling water, never able to peel, lift, bubble, or blister solid paint coatings. Not to mention they look marvelous at the same time. I told you there's light at the end of this tunnel! It all involves a semi transparent oil or water based stain. 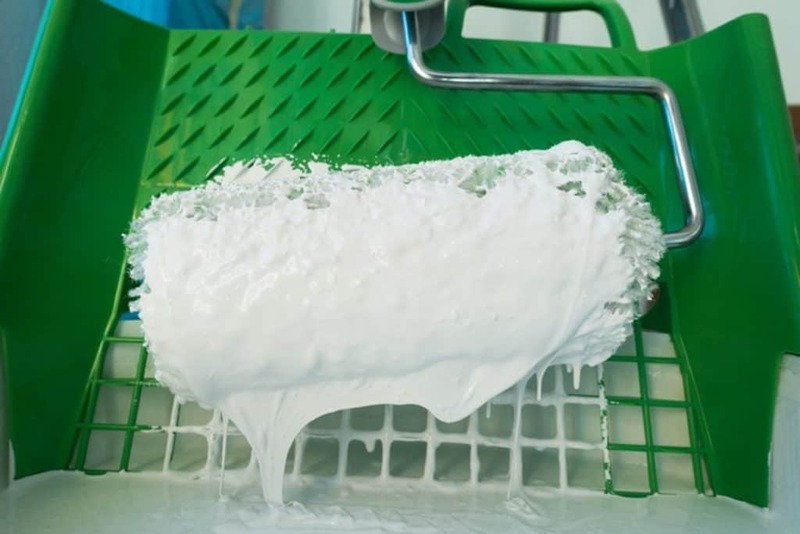 Simply put, this once applied, will not only protect, but will never bubble, blister, chip, or peel, giving you the best sealant protection from the start. There are a wide selection on the market today of various staining products, providing the optimum sealant protection for your Cedar shingles. The question comes to mind, whether to paint or stain shingles. Having written another article on this subject, learning a valuable lesson several years ago, it does not make sense to paint shingles on siding or roof for that matter. Giving you a clue, the answer is flat out NO. 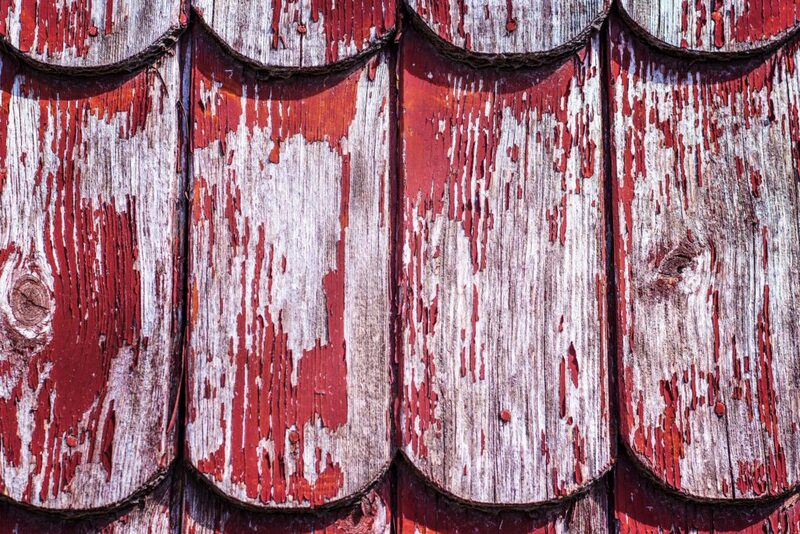 Painting old Cedar shingles would require power washing, and knowing the dangers from the start, also what you are wanting to achieve, later applying paint, I'd say NO. Too many reasons not to paint them, only good ones to actually stain instead of paint. Painting older Cedar shingles for additional life? Or extend the period of having to replace them? You'd be better served, spraying a good water based or oil stain from the start. A good roller will be not only wide enough, say 12-14", but painting or repainting Cedar shingles will need at least a 1/2'' to 1" thick roller skin. This way you are more likely to get the maximum coverage. Fair warning though. Just because you are using the longest nap roller skin available, does not insure you'll be sealing every smidgen of cracks and crevices, I don't care how good a painter you are. Consequently, having the slightest amount of wood showing, will let moisture in, thereby lifting that labor intense paint coating right back up. So using a roller painting or repainting Cedar shingles sounds good, but only as good as the product designed for correct substrate. Here again, a roller would work well using a stain, not a paint. Brainstorming, giving another reason the difficulty painting any roof shingle with a roller. Are you ready for this one? Well, let's say your up on the roof, having a 6/12 pitch. Where are you going to have the paint bucket or speed pan? Needing to dip roller countless times for additional product, painting or repainting, making this as cumbersome as it sounds. I need not say anymore. What should I do? 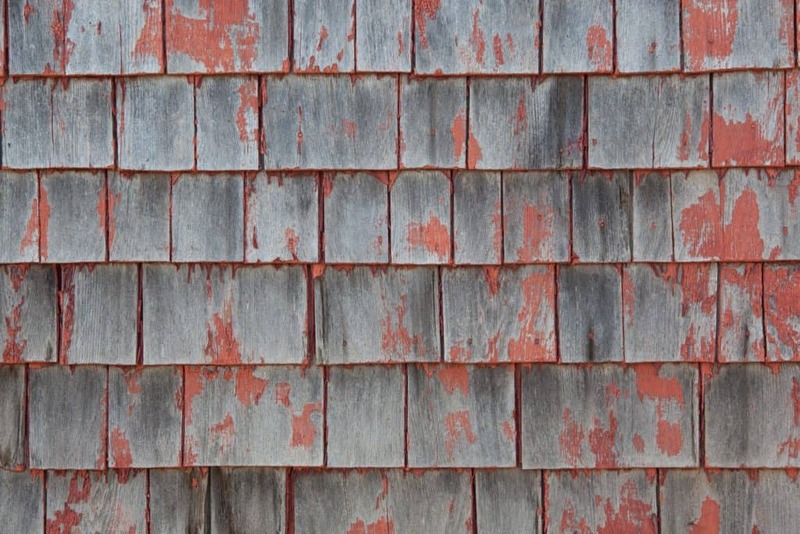 Paint or Stain Cedar shingles? Well, if you have been reading only half this article, gathering just the high points mentioned, you're safe with stain, creating problems with paint. A great source finding a recommended stain is at your local Sherwin-Williams Paint Store. We really like Superdeck™, semi transparent for these situations. Never having to worry about getting a call of paint failure, ever. Safe with Stain - Problems with Paint can not be any clearer. Yes, there is a lot of other reading material found on the net, trying to answer the question "Should I Paint Cedar shingles", going down the rat hole of proper painting techniques, but does not have a clue, one iota of real first hand knowledge doing exactly what they are trying to write about. Wondering if I should paint new Cedar shingled siding? 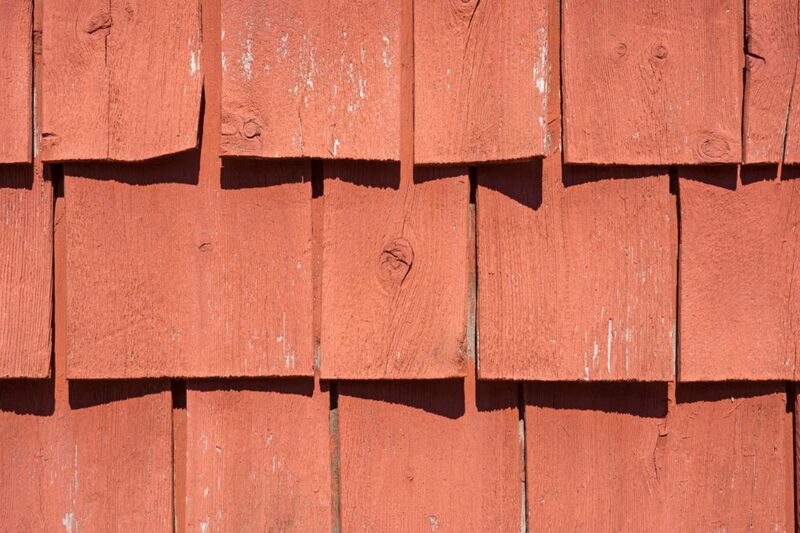 Whether siding is new or old, same reasons not to paint roof Cedar shingles goes for siding. Having an unfortunate experience several years ago, gives me a great lesson learned I will never forget. This experience strengthens all other reasons not painting new Cedar shingles, sidings or roofs. If new shingle siding, no need to strip or try removing old paint, (not that you could do this 100% anyway), priming & painting is one of a solid type coating, apt to blister, bubble, chip, or peel. Semi transparent stains would never do this, protecting much longer. Having brand new Cedar shingles, you're in the right spot, getting off on the right foot! Never having to wish you'd done something different, because once you paint, you can't go back, with a life of paint mils lifting up. So not trying to completely seal shingles with a solid paint coating is your best choice. Even better choice is protecting roof shingles with a sealant that can never do this, being a transparent, or semi transparent stain, water or oil based. Painting weathered Cedar shingles goes hand in hand with new ones. Only exception to this is weathered shingles require power washing, removing old decayed wood layer off. Realizing the dangers of power washing Cedar roof shingles is one thing, but once properly prepped, the old shingles same as new ones, having exact reasons not to paint new Cedar roof shingles. Worst case scenario is peeling paint will forever be a problem. Having weathered shingles can look brand new, never having the worry of paint failures, but a deep, luxurious, protective stain sealant coating. The perfect stain to make Cedar shingles look weathered is a Superdeck™ 2100, Weathered Gray semi transparent blotchy stain. Looking what this stain does or does not do for decks, lattice, and wood, this could be great for a particular look trying to achieve for your roof. Only thinking of this, writing this article. If you try it on a roof, be sure to let me know here! 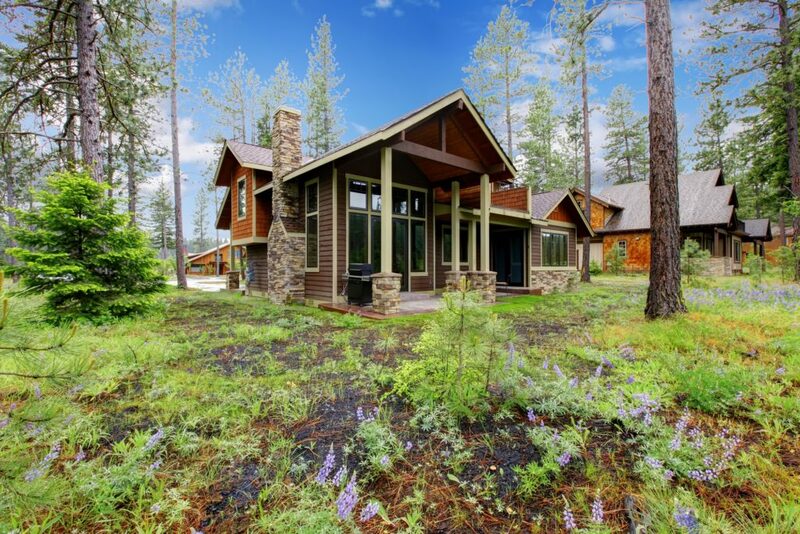 Searching online ''Best Ways To Paint Cedar Shake Siding", below is what you might find. As you can see, many highly authoritative sources on the net make their own suggestions, without really understanding the long term effect this will have. From Better Homes & Gardens, to This Old House, everyone of them incorrect. However, having just a bit of knowledge can have the most detriment and unfortunate outcomes later on. Therefore, looking for best ways painting Cedar shake shingles is just not doing in the first place. Other mentions to substantiate my position on this subject is mentioned in This Old House. Kevin O'Connor wrote an article "How to Stop Paint From Peeling On Cedar Siding". Prep the siding by scraping and sanding, as above, then check the wood with a moisture meter. If it reads 15 percent or less, it's safe to repaint. But if the peeling persists even after all those issues have been remedied, Guertin says there's only one surefire way to break the cycle of scraping and repainting: Remove the old siding and start over. As you can see, if moisture and peeling paint is an ongoing problem, (which it enviably will) time to remove and replace. With shingles being totally exposed to every element under the Sun, pardon the pun, it's ridiculous to think paint will stick to Cedar shingles any length of time. But if discussing Cedar lumber, being able to paint and seal all 4 sides, using a moisture instrument first is always good. If you do not have a good source for a moisture meter, we use another technique, obtaining same information. How we do this is cut a thick piece of plastic sheathing, 12" square, taping all 4 edges using duct tape to exterior substrate. Leaving this plastic taped 24 hours. After removing plastic, if there is condensate under plastic, wood is still too wet to paint. However, this is good for dimensional Cedar wood, not shingles, as reasons mentioned above. Having so much painting experience, actually involved in one of these fiascos, I'm here to set the record straight, hoping to teach the online community actual case studies not painting Cedar shingles, shakes or standard. Scrape any peeling paint chips off the shakes with a scraper. Remove as much of the old paint as possible, as the more prep work you do the better your home will look. Buy primer and paint to finish the job. There's just no way keeping moisture levels low enough on top of wood shingles for paint to adequately bond, grab, and hold to a solid substrate, which Cedar shingles is not. So there you have it, making my point, hoping to reach you before, when considering correctly painting Cedar shingles, letting you know what you'll be up against from day one. If you do paint Cedar wood shingles, I wish you all the luck in the world, you can pretend never seeing this article in the first place. But I know no matter what quality paint you intend using on new or old Cedar shingles, the results will be the same. Welcome any comments below, like to hear from you.